The Dubuque Camera Club is dedicated to promoting an appreciation for the art and skill of digital photography. Participating in a photography group can bring new ideas and creative directions to your work. Any skill level is welcome, from motivated beginner through professional. The Dubuque Camera Club belongs to the North Central Camera Club Council (N4C), an organization of about 40 midwestern camera clubs. Members are eligible to take part in activities and exhibits, and may enter the monthly N4C photography competition. 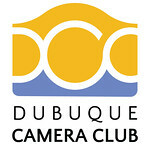 The Dubuque Camera Club meets the first and third Mondays of each month from September through May at the E.B. Lyons Interpretive Center, Mines of Spain Recreation Area, 8991 Bellevue Heights Road, Dubuque, Iowa 52003.